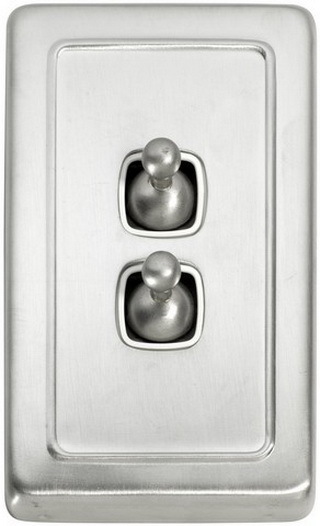 Satin Chrome Cover Single White Toggle Switch. 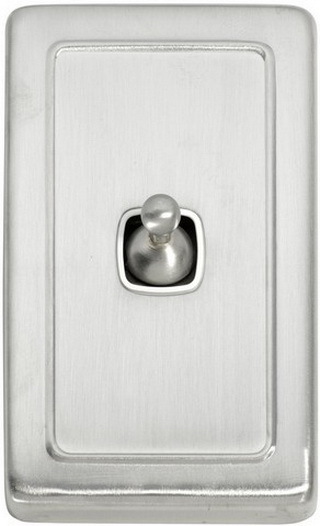 Clip-on cover Suitable for Wall Bracket application in period or contemporary style homes. Mechanism by HPM. Must be Installed by a licensed electrician. 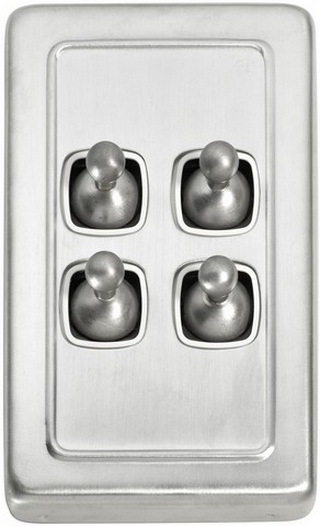 Satin Chrome Cover 2-Gang White Toggle Switch. 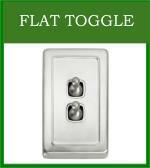 Clip-on cover Suitable for wall bracket application in period or contemporary style homes. Mechanism by HPM. 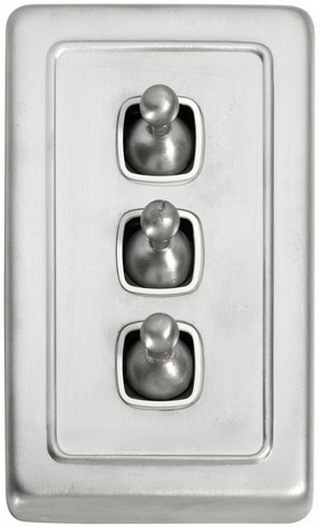 Must be Installed by a licensed electrician.